Digital radio sales take a dip | What Hi-Fi? 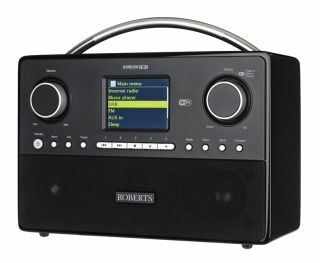 Latest figures from industry regulator Ofcom show that sales of DAB radios in the UK fell by 9.1% in the year to June 2014, down to 1.7 million sets. Sales peaked at 2.1 million in 2009. At the same time, quarterly figures from Rajar show that despite consecutive quarterly growth in previous years, digital radio's total share of listening hours was broadly flat when comparing the second quarter of 2013 with the same period this year. However, for the full year to June 2014 digital listening (including DAB, digital TV and online) accounted for a 36.3% share of all radio listening hours. That's an increase of 2.4% on the previous 12-month period. According to Ofcom, almost half of UK adults (48.5%) say they own a DAB radio, and more than half of new cars (54.8%) are now fitted with DAB as standard. Getting digital radios into cars has been one of the Government's key criteria before making a decision on the final date for digital radio switchover. But that date could still be a long way off, with some industry analysts predicting it might not be before 2020. The Government has said that it will only consider a decision on when analogue radio will be switched off when 50% of all radio listening is via digital platforms, when national DAB coverage is comparable to FM and local DAB reaches 90% of the population and all major roads.